This is a third birthday shirt for this little man. This year he wanted something “a little grown-up” and “not babyish.” I hope I fulfilled his wants. 🙂 He loved this baseball silhouette and the big 6 on the back. This baseball silhouette was my first, but I don’t think it will be my last. I really like it. 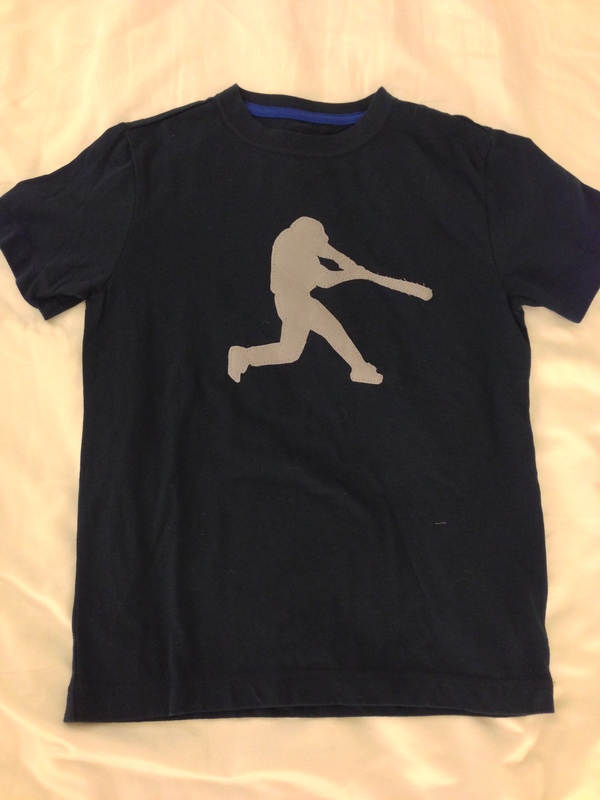 Interested in a birthday baseball shirt? $24 Email me with size and color preferences. Kirshaq(at)gmail(dot)com and you can pay me via PayPal if you don’t live near. 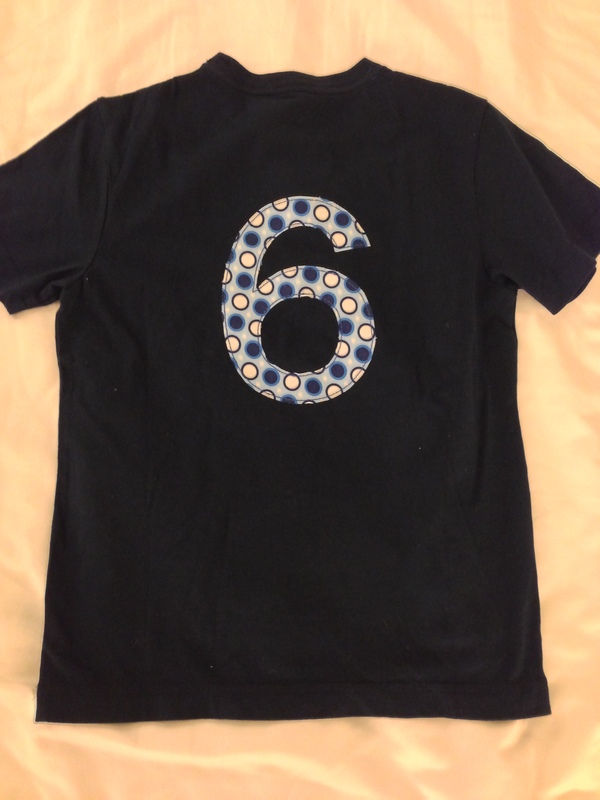 I have been busy this week with many birthday shirt orders. 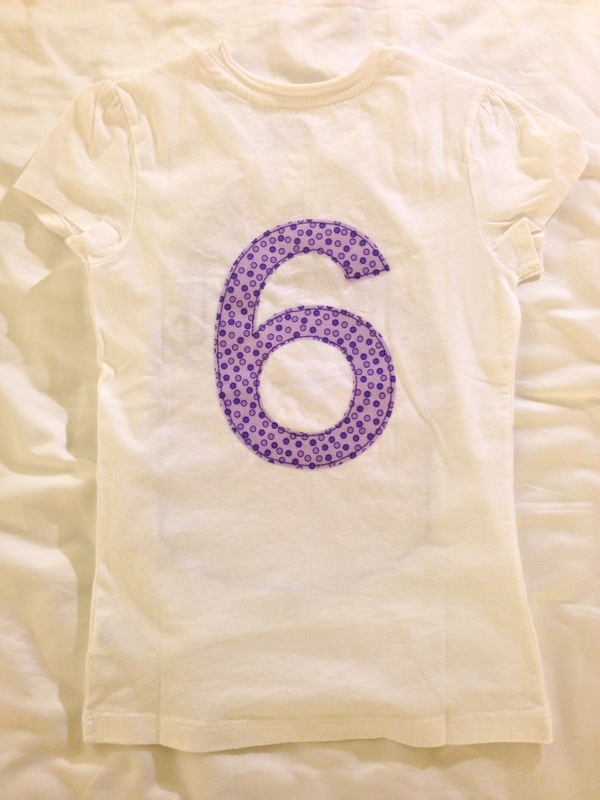 I guess this is the week for birthdays… Here is a birthday shirt in purple- the little girl’s favorite color. This is her second birthday shirt I have made for her. I hope she wears this one as much as she wore her 5 year old birthday shirt. 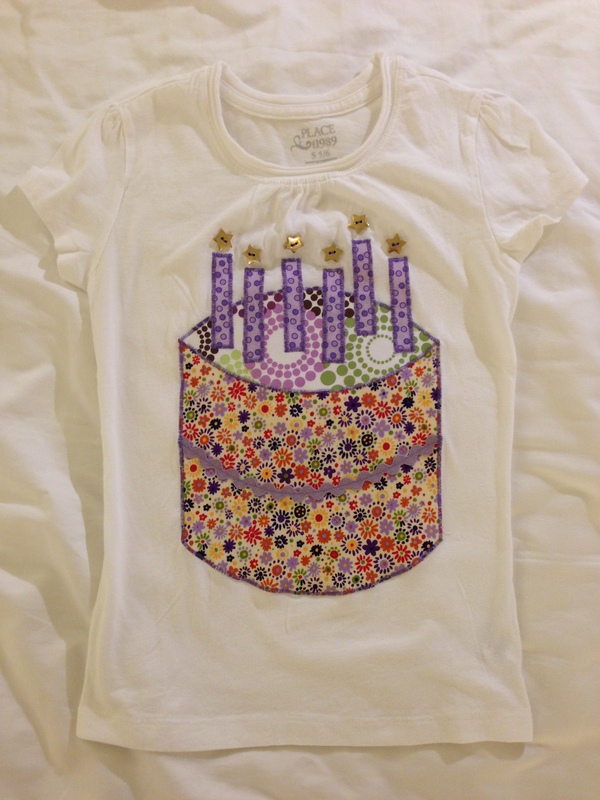 Interested in a birthday shirt for a little person? 🙂 $28 pay me via PayPal, if you don’t live near. Email me kirshaq(at)gmail(dot)com. I can have it ready to ship in 24-48 hours.